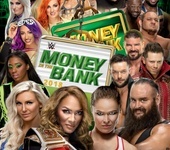 One of the most anticipated nights of the year in sports-entertainment, as WWE’s top Superstars climb a ladder and grab a briefcase containing a championship match contract – which can be cashed in at any time! 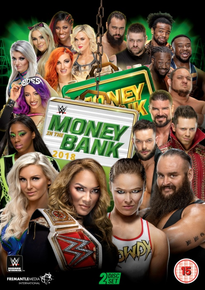 Plus, AJ Styles defends the WWE Championship against Shinsuke Nakamura in the final match of their anything-goes feud, and Ronda Rousey gets her first shot at championship gold! It’s the one night of the year when future champions are all-but guaranteed, as the winners of the Money in the Bank ladder matches will go on to make WWE history! But the event itself is history-in-the-making too. 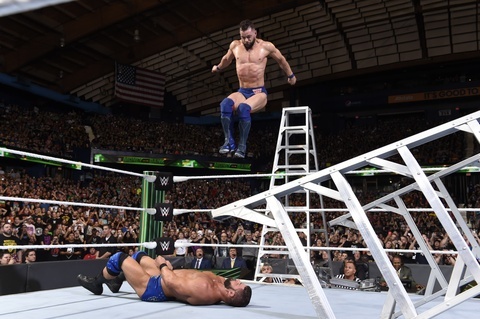 Both ladder matches are unforgettable, jaw-dropping spectacles in which Superstars from both Raw and SmackDown put everything on the line for a shot at the gold! Ronda Rousey also dazzles in her second ever pay-per-view match – an intense battle against powerhouse champion Nia Jax! Ronda once again proves she was born to compete in a WWE ring, while a twist ending will leave you shocked and anticipating the next exciting chapter of Ronda’s WWE career! AJ Styles and Shinsuke Nakamura go all-out in the final grudge match to their long-running feud. This time there’s only one way to win – each man must answer the count of 10 – but can Nakamura FINALLY get his hands on the WWE Championship? There are more stunning performances in matches between Seth Rollins and Elias, Daniel Bryan and Cass, and the return of an old favourite when Asuka challenges Carmella for the SmackDown Women’s Championship!